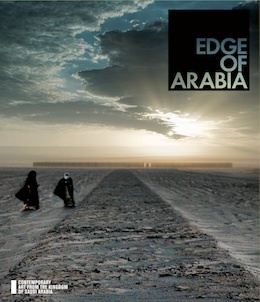 EOA was founded by a small collective of artists who met in the mountains of Aseer, Saudi Arabia, in 2003. What began as a border-crossing collaboration, against the backdrop of the last Gulf War, is now an established platform for artistic exchange, grown bold through the realisation of international projects and the grassroots support for its mission. A yearlong initiative connecting contemporary Arab culture with diverse audiences across the five boroughs of New York City. Bringing together a coalition of artists and institutions to build greater understanding between the United States and the Arab world. Showing the work of 12 pioneering artists and milestone Edge of Arabia exhibitions in London, Venice, Berlin, Istanbul, Dubai and Jeddah, Edge of Arabia: Contemporary Art from the Kingdom of Saudi Arabia offers a unique window into Saudi's emerging contemporary art scene.